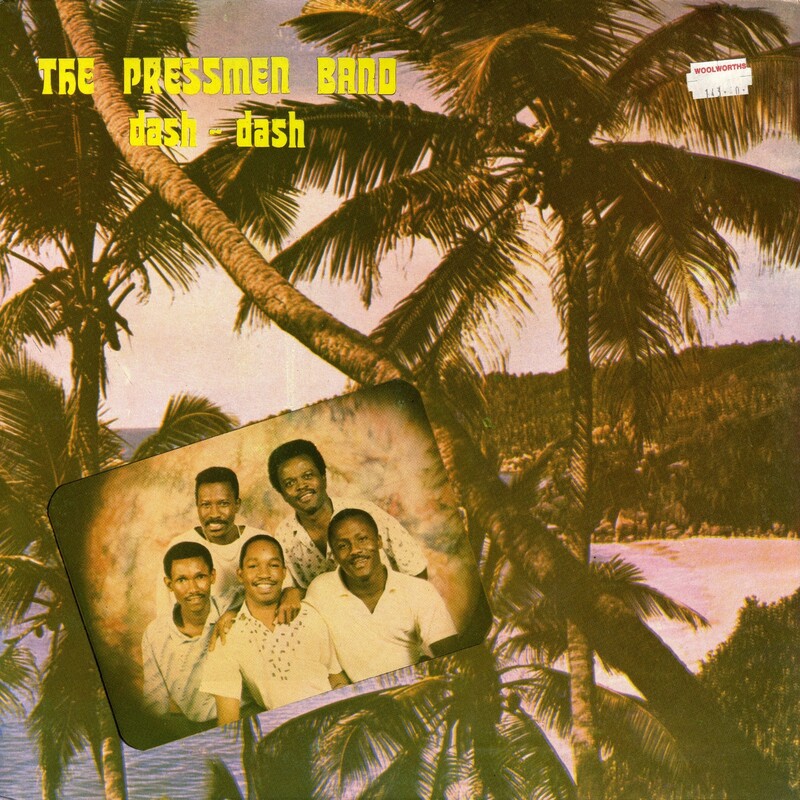 I think the Pressmen Band, described as "teen sensations" in their heyday, are still extant and catering to the tourist trade around Mombasa, Kenya. 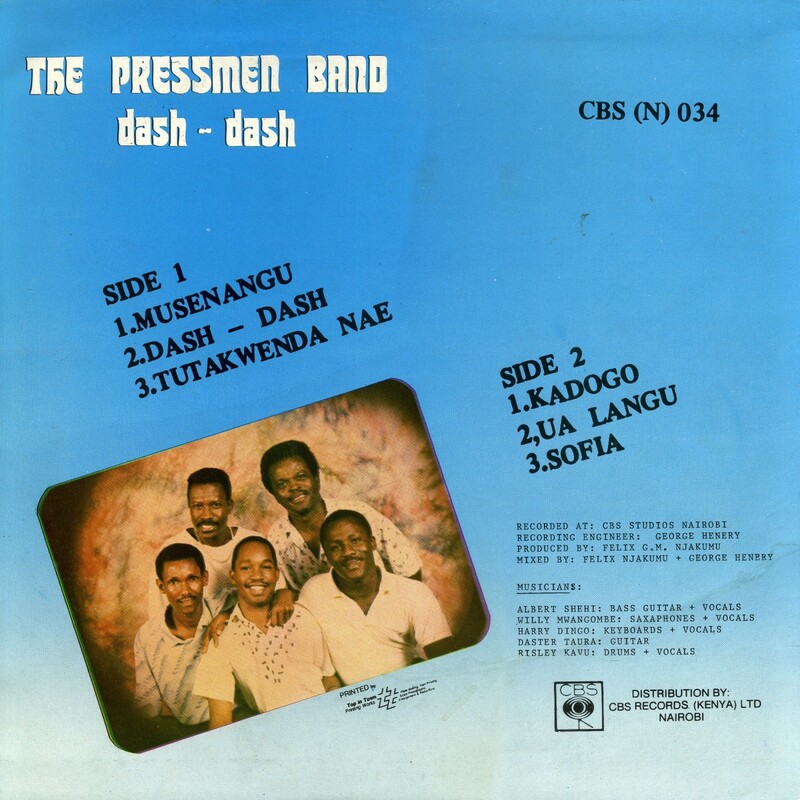 Today's offering by them, Dash-Dash (CBS (N) 034), is from the late '80s and features the chakacha coastal sound that they helped to popularize along with bands like Them Mushrooms and the Mombasa Roots Band, who were featured in an earlier post. The opening tune, "Musenangu," was a big hit for the Pressmen. It's in the Chonyi language and is about two lovers who are parting ways. Although this sort of music isn't exactly my favorite, there's no denying its popularity, not only among tourists but among Kenyans of all walks of life. Enjoy! Download Dash-Dash as a zipped file here.